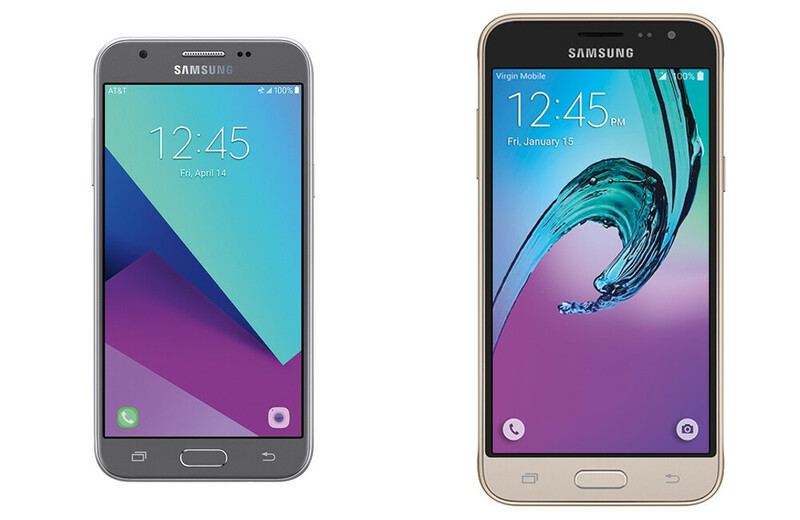 The Samsung Galaxy J series is a relative newcomer to the Samsung smartphone family. That being said, it does cater to users that don't require the best of the best from their handsets, and would rather save a few hundred bucks. That's why the series enjoys a moderate success globally, and it's being upgraded for another year. But what exactly are the differences between last year's Galaxy J smartphones and the current generation? In terms of design, Samsung has made some radical changes. 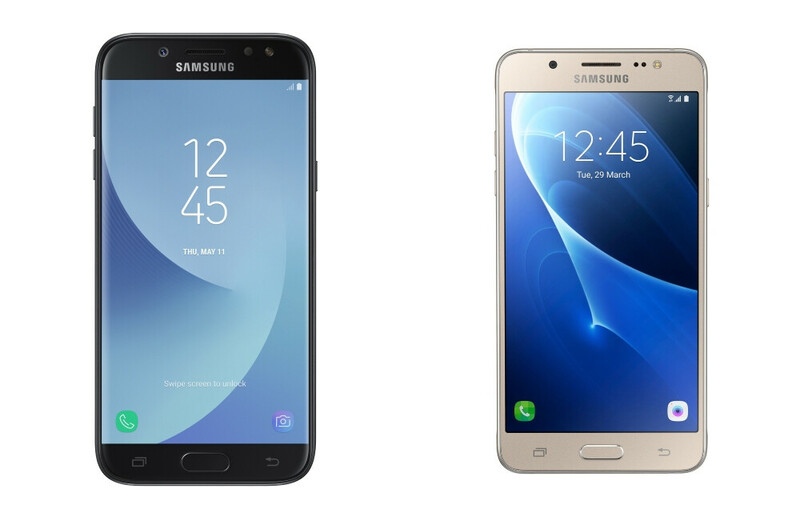 The new Galaxy J7 (2017) looks like a much sleeker handset than last year's Galaxy J7 (2016). The side bezels were trimmed down, and the entire device was given a more streamlined and fluid makeover, all the way to the antenna lines and the rear camera lens. When it comes to hardware, however, the two handsets are nearly identical. The most notable upgrade is obviously that of the display. Samsung has ditched the 720 x 1280 pixels screen, and replaced it with a 1080 x 1920 pixels one for the 2017 version. Another major change is the selfie camera sensor, which was upped to a 13 MP one from the previous 5 MP. Other than that, Samsung has snuck in a slightly larger battery and an extra gigabyte of RAM in the new model, while keeping the same Exynos chipset. In terms of software, the new 2017 model is running Android 7.0 Nougat out of the box, while its predecessor is still on Android 6.0 Marshmallow. However, rumors have recently popped up that Samsung might be testing a Nougat update for last year's Galaxy J7. 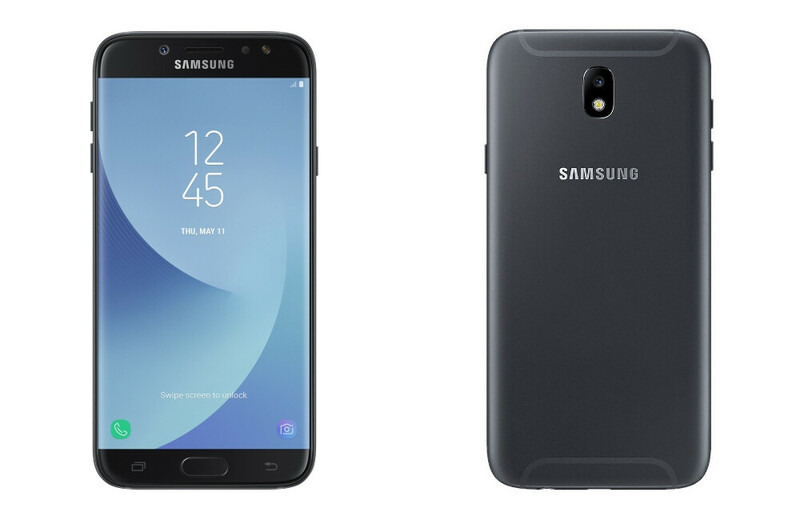 The design of the Samsung Galaxy J5 (2017) benefited from the same improvements as its slightly more powerful sibling – streamlined shapes, smaller side bezels, and all other bells and whistles of Samsung's current design language. Under the hood, the Galaxy J5 has undergone a massive overhaul. First of all, Samsung has ditched the Qualcomm Snapdragon 410, and put a home-grown Exynos 7870 in its place. The new processor is an octa-core one, as opposed to the quad-core Snapdragon of last year, and is clocked at higher speeds. Additionally, selfie lovers will be delighted to know that the 5 MP selfie camera sensor has been replaced with a 13 MP one. Memory, however, remained exactly the same – 2 GB of RAM and 16 GB of storage. 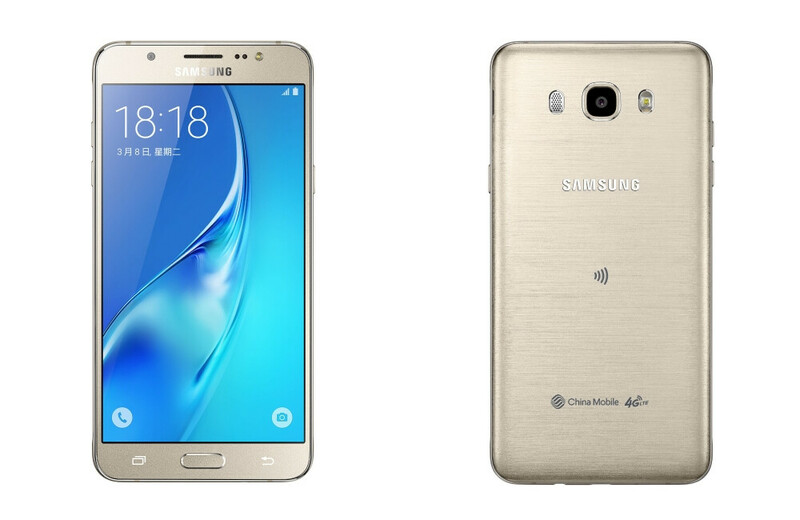 Just like with last year's Galaxy J7, the Samsung Galaxy J5 (2016) comes with Android 6.0 Marshmallow out of the box. Its newer counterpart, however, comes with Samsung's new UI on top of Android 7.0 Nougat. Let's be honest, the Samsung Galaxy J3 (2016) is not a good looking phone. So, thankfully, it's design has been almost completely revamped. Its front looks more like last year's J5 or J7, but the back is a completely different beast. In fact, it looks like nothing Samsung has produced in the J series in the last two years. The hardware, however, has hardly been touched. The device still comes with 1.5 GB of RAM and the same 720 x 1280 pixels 5-inch screen. The Quad-core Snapdragon 410 has been replaced with an almost-equivalent Exynos 7570. In terms of cameras, however, things have changed for the worse. The sensors of both the rear and the selfie snapper have been switched with smaller ones for a final 5 MP on the back and 2 MP on the front-facing shooter. The International model, on the other hand, comes with upgraded cameras, which makes the reduced US sensors even more peculiar. Thankfully, software didn't get the camera treatment and the Galaxy J3 (2017) comes with Android 7.0 Nougat out of the box, as opposed to last year's Android 5.1 Lollipop (upgradeable to Android 6.0 Marshmallow). J5 2017 looks like the S4 and the J5 2016 awfully looks like the S2. Recycling ideas eh? You are confusing the true Galaxy J3 2017 (SM-J330) with the Galaxy J3 Prime (SM-J327). With the exception of the screen, chipset and internal memory, the other specifications are wrong. Even the photo is wrong. The true J3 2017 has 2GB of RAM, 13MP rear camera and 5MP front camera.